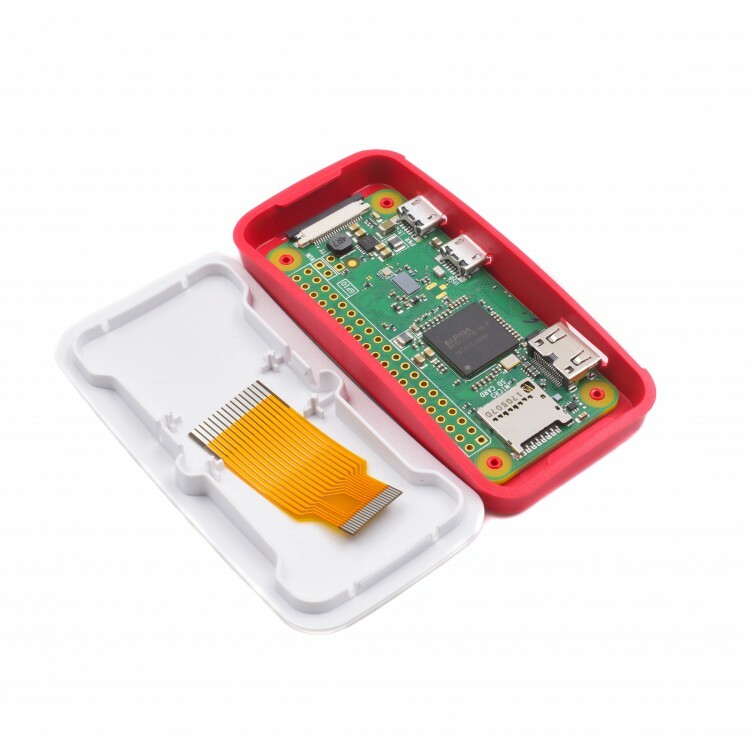 The perfect starter kit to go from the trusty Raspberry Pi 3 to the new and smaller Pi Zero W. It's everything you need to get started! 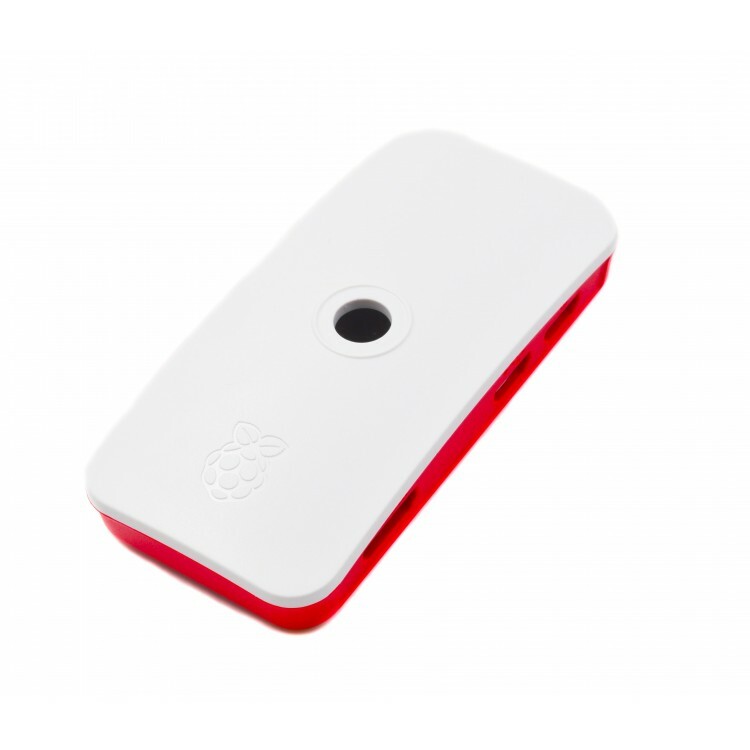 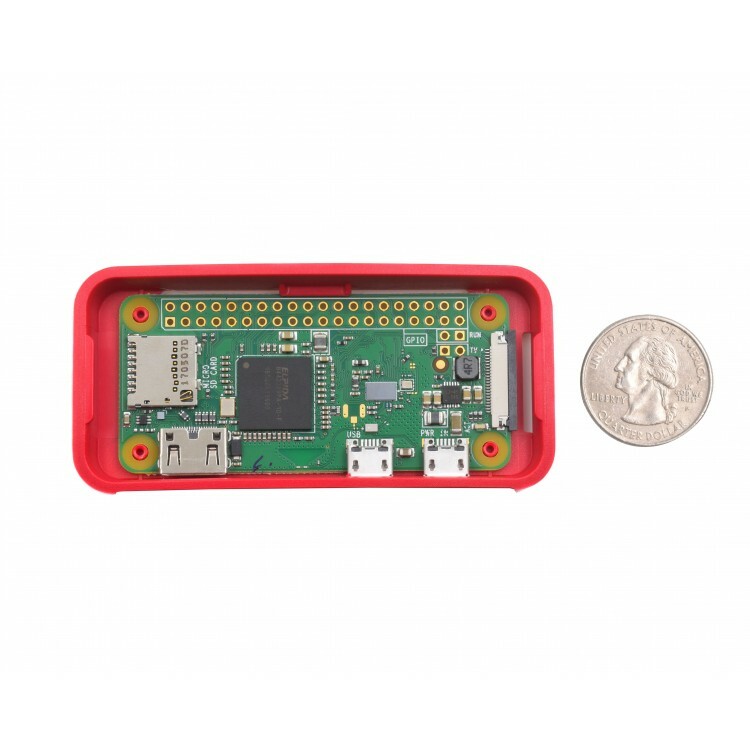 It even includes a camera cable which allows you to use your Raspberry Pi 3 camera with the Pi Zero W.
The cute raspberry colored case has four pegs inside which you can use to mount the Pi Zero W and has a cut-out in the base to allow access to I/O pin holes and allow for cooling. 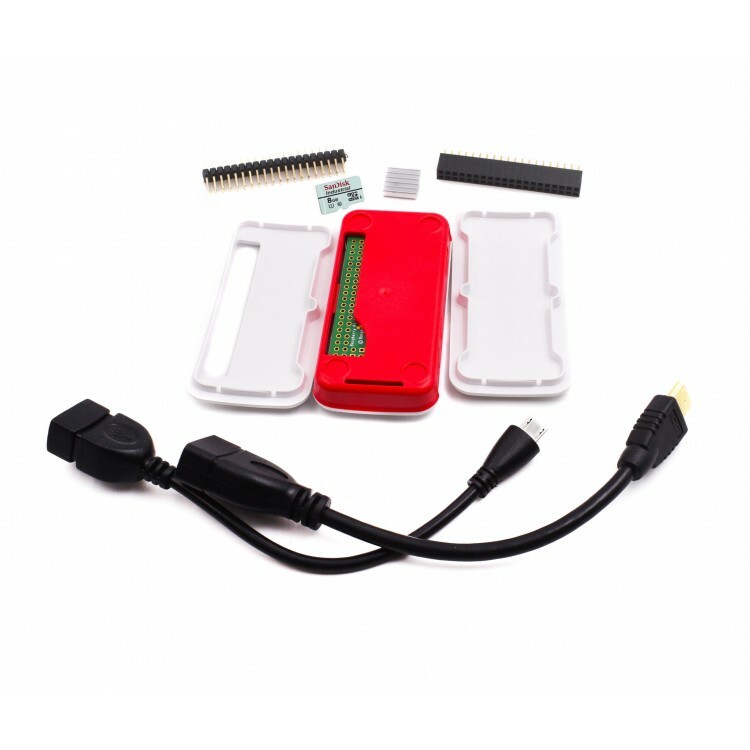 This kit also includes male and female header pins, a mini HDMI to HDMI Adapter cable, a USB OTG cable, an SD card, and of course a Pi Zero W.
The perfect starter kit to go from the trusty Raspberry Pi 3 to the new and smaller Pi Zero W. It's everything you need to get started!